Hugo award-winning reference from a bestselling author, who is committed to helping new authors. 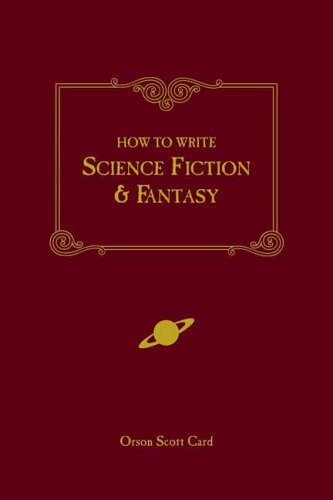 This fairly basic book is described by the Chicago Sun Times as ‘a must for science fiction writers at any stage of their career.’ Card shows you how to wield story elements together; build, populate and dramatise a credible world; and create a novel your reader will want to explore. Plus also information on markets and how to reach them.